I've been a Spotify user for a long time, and as such I've amassed quite a lot of playlists on their service. This is perhaps the one main issue stopping me from moving over to Google Music full time, well that and not being able to set the download location to an external storage location, but I digress. 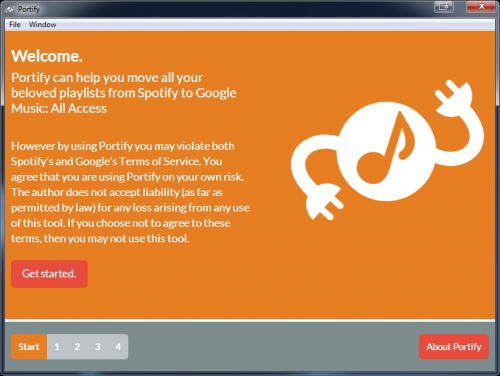 However, Portify is a tool that may make the move a lot easier. It will essentially transfer your Spotify playlists over to Google Music All Access. The application does require both of your passwords to run, but the developer has opened up the code so you can check yourself that nothing malicious is going on. You can find the app and more information over at the developers website. Let me know how it goes!